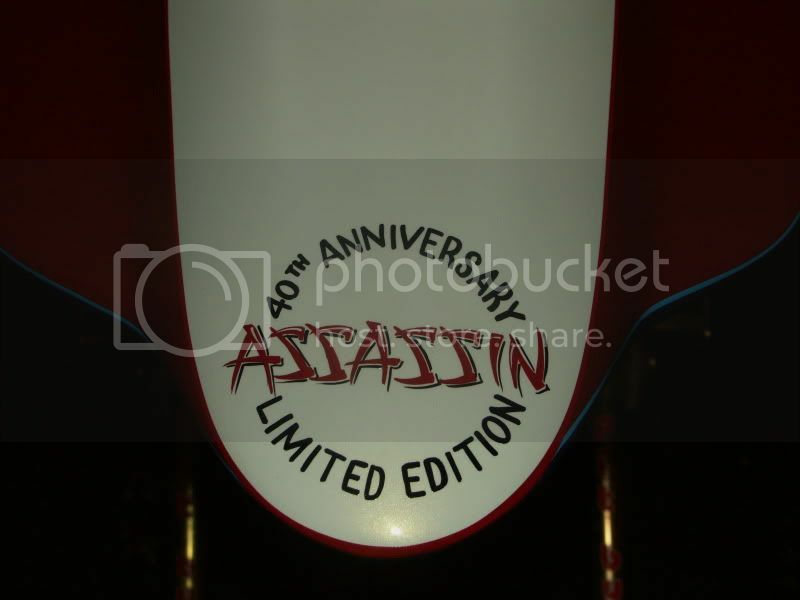 40th Anniversary Assassin....A tribute to the giant killer that changed the sport forever. 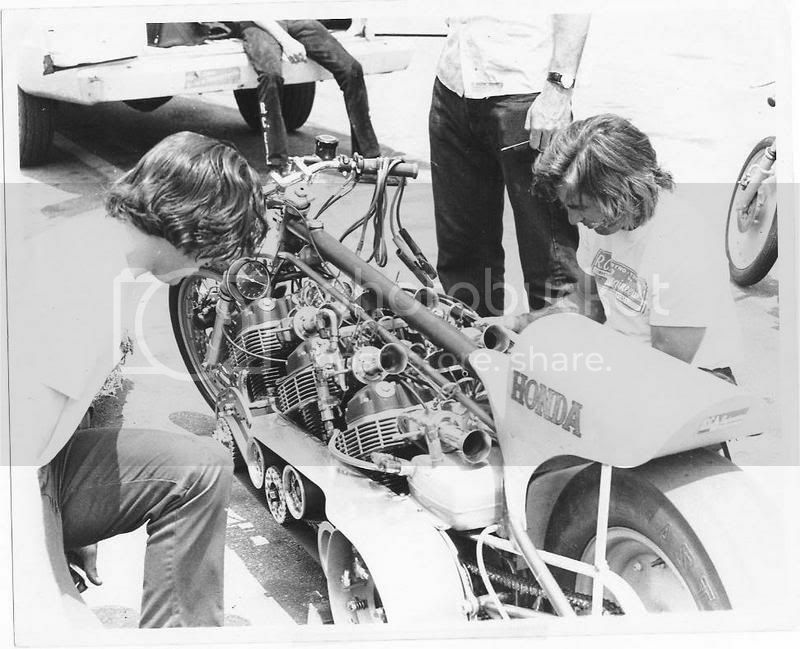 His single engine stock framed, blown gas SOHC 750 that gave the Fuel Harleys a hard time. I wanted to build a small block that could go after the the big Hayabusas...mission accomplished at least at my track. Low 8's, no bar street tire, all motor 1 litre GSXR weighing in at 350...225HP to the rear wheel thanks to Lee's Cycle in San Diego. Nothing against Suzuki I've had a couple including a water buffalo, they make a great bike too! What a great bike you have there and I do hope you can make it to Valdosta. All that you can do to the internals with just a smidge left in the box. It's built to last..still runs the water pump, push button start, alternator...but will pull your arms like a Pro Mod at mid track and all that on a street tire...no bar...took me 30 passes to keep the front end down and then we were running circle track mid 8's all day. It was built at Lee's in san diego to match Jeremy Toye's RR bike and boy can they build them. Rock it hard buddy, you have to turn legend into a dynasty! 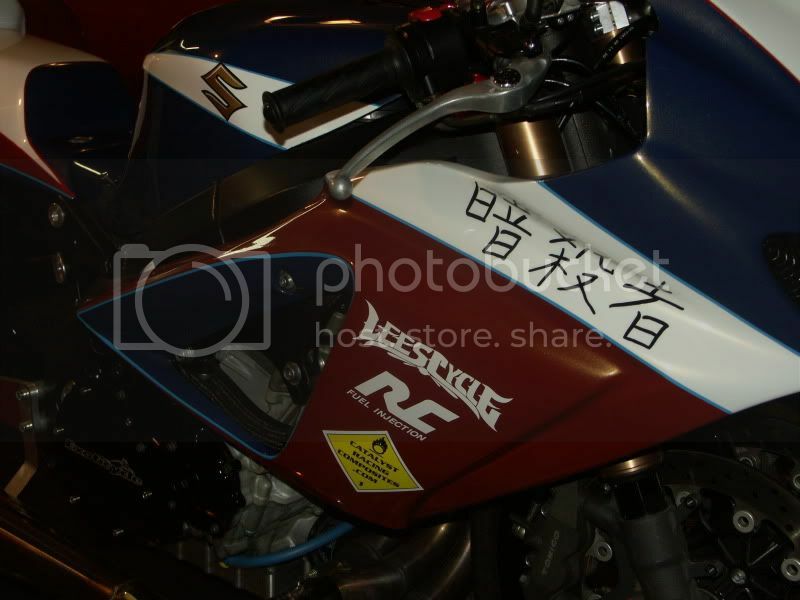 Nice paint on the gixxer. It doesn't take much to get busa's, GSXR 1000's, ZX-10's etc etc close to 200HP. Unthinkable about 20 years ago. RC Jr. you probably just gave everyone here their favorite Christmas gift for the year by showing up here! Glad to see those bikes back in the garage, such history. Welcome, and like all the others, I'll be watching this thread daily! Those wheels look stock to me. They do a great job cleaning/flow testing bike injectors Frank. 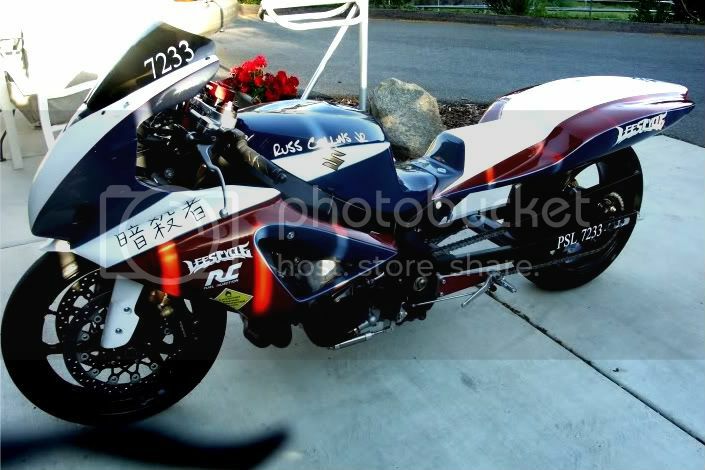 They did my busa's several years ago. Yes of course those wheels are stock...love to go PM, ceramic bearings etc...could pick up tenth with a few more thousands of dollars....but you see where all of the money will be going now! RC Eng. is definitely the place for Fuel Delivery. My Dad keeps the shop at the cutting edge of technology and is always looking forward...and is not very nostalgic, which is how I lucked out. Nice banner...yours is in way better shape than mine. Thanks for the encouragement....I just spent the afternoon in my modest two car garage cleaning, inspecting etc...the enormity of these restorations is becoming more apparent to me as I see what is written by persons like yourself. As a 6 day a week Aerospace guy I cannot thank the people enough, close and far, that are helping on this. One of those people, Kevin Weisenstein has taken on the role of Project Manager. He has worked tirelessly to bring the Sorcerer to the roller mock up seen in the photos released. His attention to detail and pure love of all things on two wheels is evident in his collection of custom bikes all built in his garage. I hope to be riding one of his custom Harleys or restored old Nortons to Palm Springs to visit with my Dad over the holidays. Another hero in this rebuild is and will continue to be Joe Silva of Racers Machine, Inc. out of Escondido, Ca. He is reconstructing the blown rear engine and will be freshening up the other motor. This guy does it all and I recommend him for anyone with very special engine work...the kind you find in the old school shops. He is taking a stock CB750 and building an exact replica of a very custom nitro motor...and nothing will leave his shop, all the machining, welding, boring, head work etc...all by his hands. My Brother David, is our PR guy and I am very fortunate to have this talent at hand. A professional marketing person that has built, sold and built again some very top shelf enterprises...we will all see his handiwork soon. He took the shot below....much better than the amateur version I submitted. What are you going to do for fresh rods in those motors? Is there an offer in that question? Right now I think I only need one done...but I'm obviously going to be seeking engine component help. They are disposable..as you know, on a fueler, especially. My Dad only had to freshen up these motors once per season and that was for a little leak down. I'd say he had some pretty solid parts given the boost and 90 % he was running. Were putting a marketing package together and will be soliciting manufacturers accordingly. 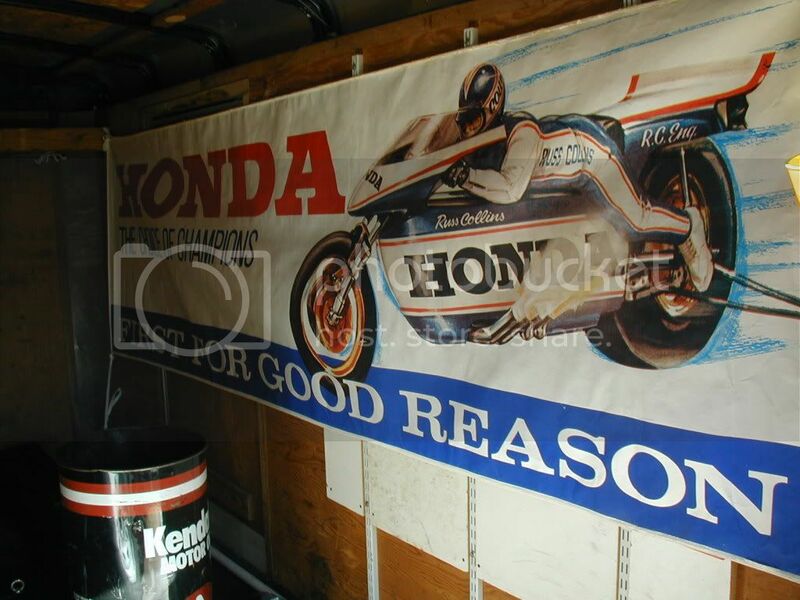 Actually more than just manufacturers...lets see if we can interest the motorsports leaning advertisers first. I'll know a lot more in the next 90 days. Let me also add my thanks to you for taking on this resurrection project. You can obviously tell by all of the posts that we've all been in awe of this bike from its inception and throughout it hayday and still feel deeply humbled by having you share this up close and personal rebuild with us on the forum. RC set the bar for everything SOHC and we are all still in some way chasing that dream. Again, thanks for being gracious enough to allow us to view the rebirth of this work of drag racing art. I just knew that Bill hasn't made any golden rods in decades. But I could point you in the right direction to get some new updated ones made.